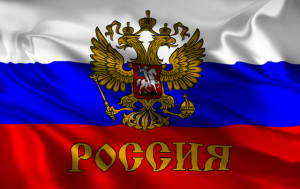 The state symbols of Russia are the Russian flag, the hymn of Russia and the coat of arms (герб). The State Russian flag is three-coloured. It has three horizontal stripes: white, blue and red. The white stripe stands for the earth, the blue one stands for the sky, and the red one stands for liberty. The national emblem of Russia is the double-headed eagle. It is the most ancient symbol of Russia. Originally, it was one of the symbols of the Byzantine Empire. It was introduced in Russia in 1497 by Tsar Ivan III after he had married the niece of the last Byzantine Emperor, Sophia. Another symbol of Russia is Spasskaya Tower, because the Kremlin clock is on it. The official name of the country is the Russian Federation or the RF. Under the Constitution of 1993 Russia is a Presidential Republic. It is headed by the President who is elected for a four-year term. The President is commander–in–chef of the armed forces, he makes treaties, enforces laws, appoints the Prime Minister, cabinet members, and key judges. The first Russian president was Boris Eltsin (since 1991). The State Duma is a lower house of Federal Assembly, which consists also of an upper house-Federation Council. The members of State Duma are elected by popular vote ( голосами избирателей) for a four year period. Russia is a democratic society. Its citizens have many freedoms, among them freedom of speech, religion and the press. 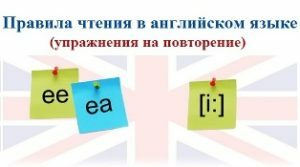 The Russian language is the official language, but not the only language which people speak in Russia. Members of more than 60 other ethnic groups who live in Russia speak their own languages. The great majority of the population of Russia is Russians. Russia is inhabited by sixty other nationalities. Russia is densely populated, but its population is unequally distributed. People prefer to live in the European part of the country. Siberia is thinly populated.The northern part of Russia is practically uninhabitable because of the length and severity of its winters. Russia is an urban country — the majority of the Russian citizens live in cities. They are Moscow and St. Petersburg. What are Russia’s state symbols? Who is the head of Russian Federation? What is the official language of the Russian Federation? What is the political structure of Russia? What can you say about the population in Russia? What are Russia’s most important cities?